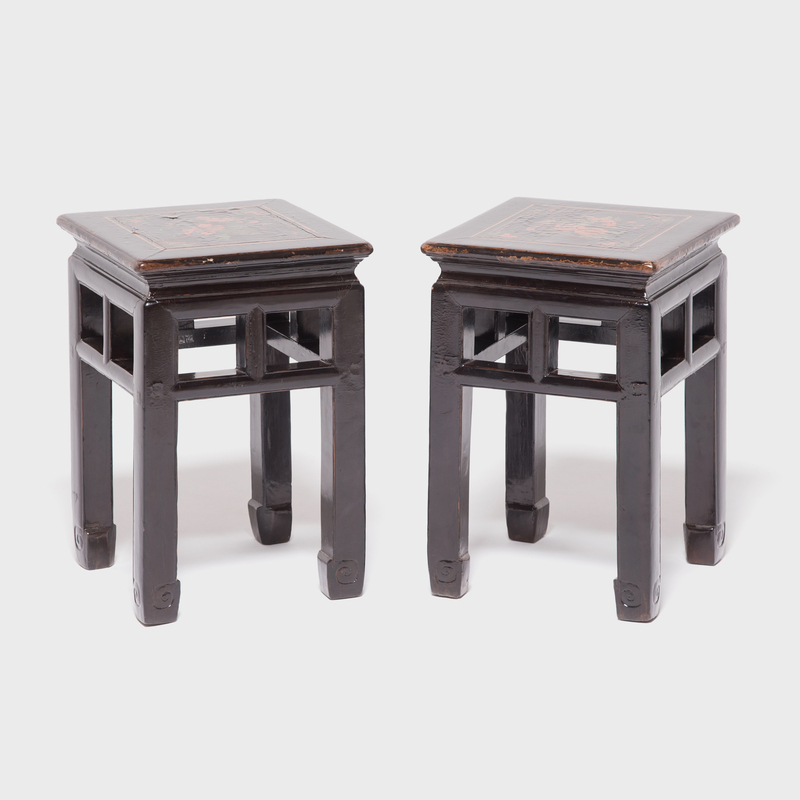 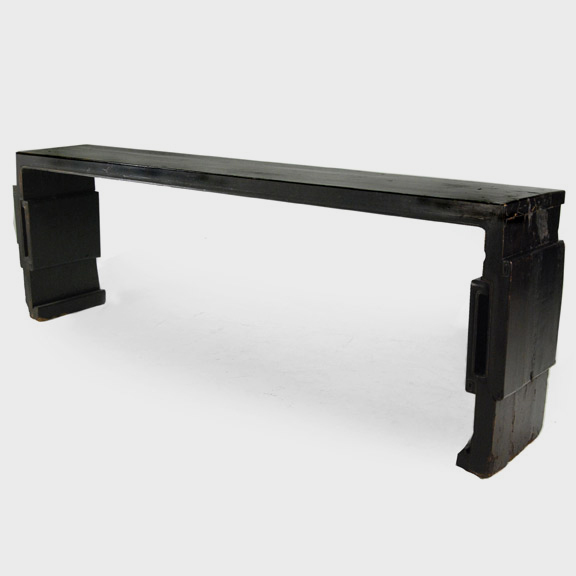 W: 20.75" D: 14.5" H: 18.25"
This pair of 19th century black lacquer stools was created by an artisan from northern China using traditional mortise-and-tenon joinery techniques. 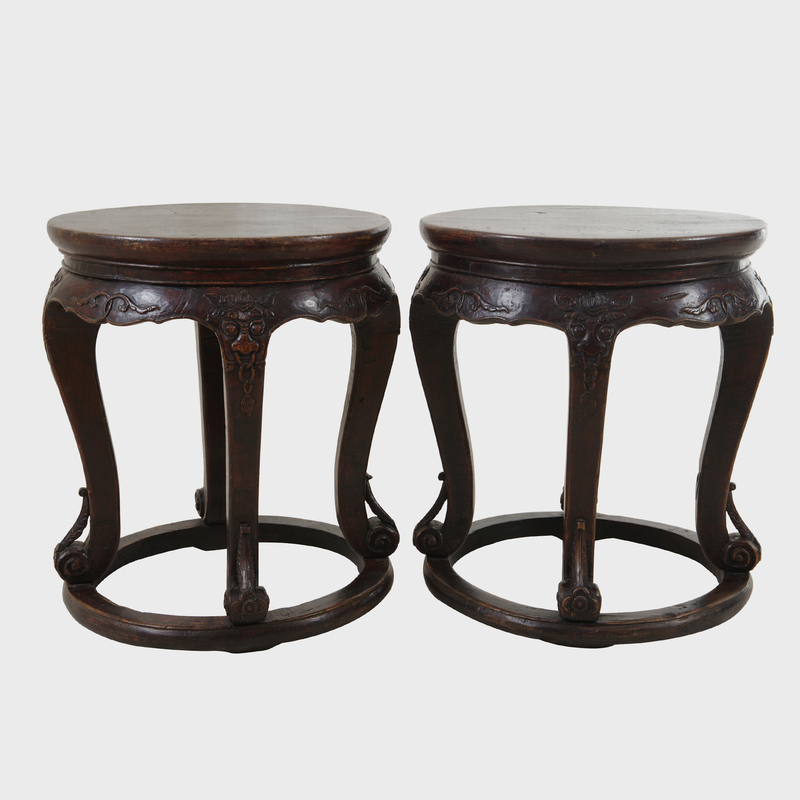 The stools feature straight legs ending in hoofed feet, joined by gentle humpback stretchers. 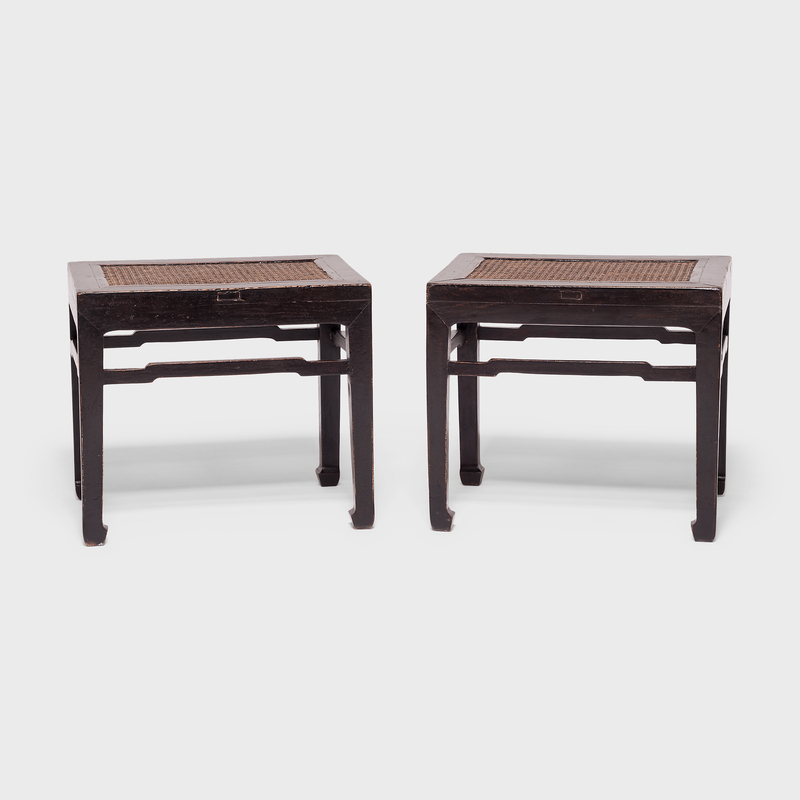 The clean lines of the black lacquer frames are contrasted by hand-woven rattan tops, lending the stools a timeless rustic appeal. 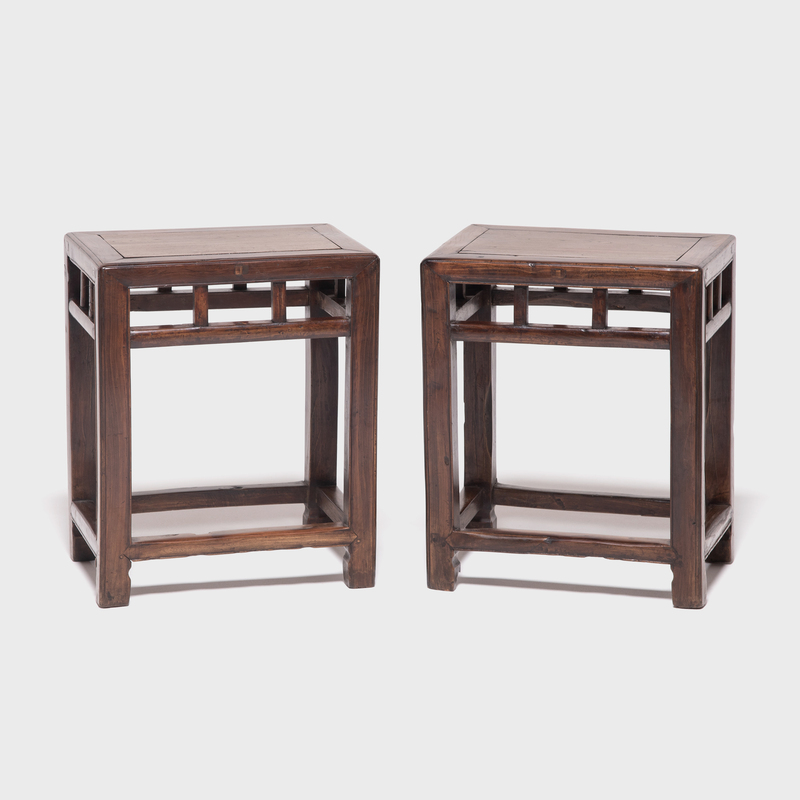 This versatile pair is the perfect addition to the home as a set of stools, side tables, or display stands.